Nearly one year after passing a soda/sugary drinks tax, the Philadelphia City Council has given initial approval for a new infrastructure program called Rebuild, towards which a portion of the tax money will go. A city council committee voted on June 15 to approve a bill that will determine how funds for the proposed Rebuild program will be distributed, Curbed Philadelphia reports. The Rebuild program, which will be voted on next week, would renovate Philadelphia’s aging infrastructure, according to Philly Voice. The new legislation allows a service agreement between the city and the Philadelphia Authority for Industrial Development (PAID), according to Philly Voice. The Rebuild program is projected to cost $500 million, and $300 million of it will come from bond borrowing that the city will finance through soda tax revenue, Curbed reports. “Happy we passed this milestone for #RebuildPHL today, moving us closer to rebuilding our parks, rec centers & libraries!” Kenney tweeted on June 15. 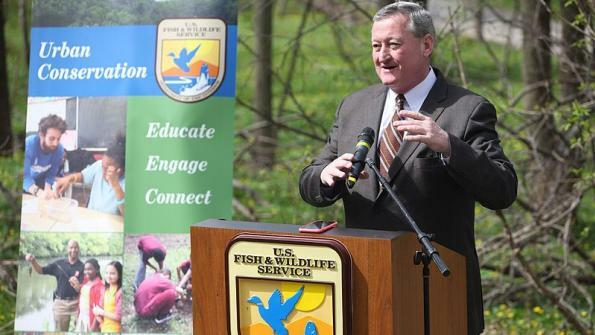 The city will also receive a $100 million grant from the William Penn Foundation, which funds education, cultural and watershed protection initiatives, according to Curbed and the foundation. The grant is the largest the foundation has ever given. The Rebuild program has been a central component of Mayor Kenney’s administration agenda, Curbed reports. The new bill specifies that, under Rebuild, PAID’s funds that are earmarked for the program will go towards “improvements to, and construction, demolition, renovation and equipping of, the City’s parks, libraries, playgrounds, recreation centers and other related facilities, and related costs such as workforce diversity and inclusion programs, community engagement and program administration." Negotiations also led the council to secure two council appointees on the Rebuild oversight board and annual approval of the line-item budget and the list of Rebuild sites that the administration selects, Philly.com reports. City council will also be able to approve budgets for each project and the public or private entities that work on each project, according to Curbed.